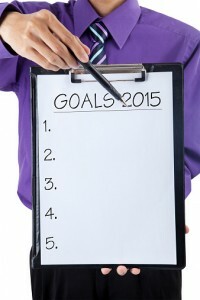 ActiveBlogs Easy said and done - 2015 has already been quite a year for businesses. In the marketing world, some techniques and tools that have been viewed as “emerging” have reached maturity. Throughout the rest of 2015, companies will be using them more strategically as they look for new and better ways to enhance their business. If you aren’t already taking advantage of these resources, here are some marketing practices you should try in 2015. Use a social media manager. Social media managers help you get the most of the one thing marketers are always lacking: time. Sites like Constant Contact, Main Street Hub, and Yodle make it easier to see what consumers are saying about your brand, and it simplifies the process of engaging with them. Having access to your social networks all in one place lets you distribute your content to various platforms and track which topics and which social media sites get the best results. Focus on customer experience. Every interaction a current or potential customer has with your business is a direct representation of your brand — be that a sales call, a blog post, or a tweet. By integrating marketing best practices throughout all departments of your company, you can help your entire organization deliver your brand promise. Recognizing every employee interaction with a customer as a valuable opportunity can ensure a great client experience that will reflect positively on your brand. Go mobile. Optimizing websites and content for mobile use will be absolutely essential in 2015. With technological breakthroughs such as Apple’s iWatch and other wearable devices on the horizon, the mobile landscape this year will be more important than ever. As a driving force in search and purchase decision, mobile marketing will give your business access to a broader, more informed audience. Utilize LinkedIn. The business-to-business social network is already a leading resource for marketers, and its usefulness will only increase this year. The ability to create and share long-form content will contribute to your brand’s thought leadership and help you connect with an interested, like-minded audience. Increase emphasis on analytics. Businesses of all sizes are relying more on analytics to guide their marketing actions. Data can be complied and analyzed quicker than ever, allowing marketers to rapidly change their tactics to create a sound marketing strategy. Helpful analytics tools can supply information on who is visiting your website and even how they are interacting with it. This year, consider adjusting your marketing strategy to suit changing technology. Taking advantage of the right marketing tools can give you the competitive advantage you need to kick off a very successful 2015.